Let’s start up top with the newest addition: You can now schedule emails to be sent tomorrow morning, tomorrow afternoon, or whenever you like, something Google says is intended to “be considerate of everyone’s downtime”—it’s not available in to every user yet, but if you’ve got the update, you’ll see a drop-down menu next to the Send button. An update that rolled out in February lets you do more with a right-click on a conversation thread (or Ctrl+click on a Mac)... as in, a lot more. Move emails across tabs, snooze emails, mute conversations, open emails in a new window, find messages from a specific sender, and do just about everything you could want to do from the main Gmail view on the web. If you’ve got Gmail on the web set up with separate tabs or categories on screen (like Primary, Social and Updates), did you know you can drag conversation threads between them to recategorize your messages? Even better, Gmail will then ask you if you want to treat all emails from the same sender in the same way in the future, saving you time. 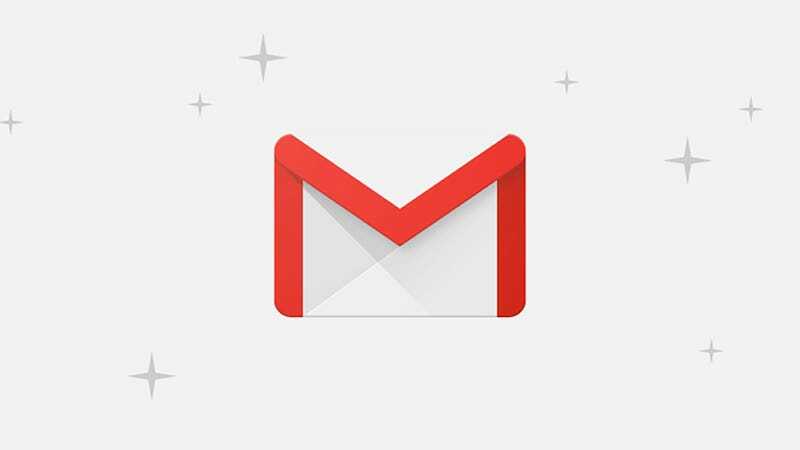 Gmail rolled out Smart Compose back in 2018 and just recently upgraded it to appear on more devices and adapt itself more to the way you write. If you want to switch it on, go to Settings, General, and tick the Writing suggestions on box on the web, or pick Settings then your email address then Smart Compose on Android (iOS support is coming soon). You can send and request money in your Gmail messages on the web: Click the dollar symbol that appears at the bottom of the compose window, then enter the amount you want to get or you want to send. If you’re sending money and haven’t already set up a payment method through Google Pay, you’ll be prompted to do this to use as a source. Confidential mode rolled out for consumers last year, letting you limit message copying and downloading, and adding an optional expiry time: find it via the menu button (three dots) on mobile or the padlock symbol on the web when composing an email. It works seamlessly inside Gmail, and in other clients will link to your original email on the web. You don’t necessarily have to get buried under a mountain of notifications from the Gmail mobile apps: On iOS or Android, go into the Gmail app settings, select your email address, then choose Notifications. You can set alerts to appear for “high priority” emails only, and this works separately to the notification settings configured at the Android or iOS level. The way that offline Gmail works has changed down the years, but right now you can type “mail.google.com” into a Chrome tab to get at a cached version of your inbox even when there’s no connectivity. You do have to enable the feature under the Offline tab of Gmail’s settings on the web first though, and you can choose how much email gets synced locally. You don’t have to settle for the standard yellow stars when it comes to highlighting emails, because plenty more colors and symbols are available. Go to General and Stars in the Gmail settings pane on the web to see what’s on offer: You can find stars with searches like “has:green-star” on the web, though all star types get lumped together in the mobile apps. By default Gmail on the web just shows you a long list of your conversations, but if you prefer a more desktop client-style look to your inbox, you can enable a preview pane. Click the arrow next to the Toggle split pane mode icon (top right), and make your choice—you can view individual emails to the right or underneath the conversation list in your browser. Add another email address to Gmail via Add an email account under Accounts and Import in the online settings, and during the setup process you can opt to “Gmailify” it—giving you the same spam protection and auto-sorting for your other accounts as well as your Google one. It’s available when linking accounts on Android and iOS too. Any attachment that shows up in your inbox can be saved to Google Drive with a tap or a click—perfect if you spend a lot of your digital life inside Drive and don’t want to clutter up your local computer with files. The Drive icon appears on top of attachments when viewed on the web or inside the Android app, and when you open attachments in the iOS app. Have you found the new side panel that Google has pushed out to live alongside Gmail on the web? If you can’t see the Google Calendar, Google Keep, and Google Tasks icons on the right, click the arrow down in the lower right-hand corner. It’s the perfect way of using two Google apps in tandem together, especially if you’re working on a widescreen monitor. This is one of the oldest and most useful Gmail tricks, but a lot of people remain oblivious to it (based on our friends and family at least). You can type “before:2019/1/1" into the Gmail search box to see all messages from before 2019, or “after:2019/1/1" to see messages from this year, or mix and match the two (change the dates as required). Google Translate is built right into Gmail, if you hadn’t realized: Open a message on the web and if you don’t see the translate bar, click the menu button (three dots, top right) and choose Translate message—you’ll then be able to select the source language (if it isn’t detected automatically), and then the language you want the message translated into. A neat feature called auto-advance shows the next message in your list automatically when you archive or delete the current one. You can enable auto-advance from the Advanced tab in Gmail Settings on the web, or from the Auto-advance entry in General settings in the Gmail Settings for Android. As yet, the feature hasn’t rolled out to iOS. Many of us are using labels to keep our Gmail inboxes well organized and in order, but did you know you can create sub-labels too? You have to be on the web to create them, but they can then be accessed from anywhere: Click the three dots next to any label in the navigation pane on the left of the Gmail inbox, then choose Add sub-label to do just that. The Gmail apps will sync 30 days of emails to your phone by default, but if you want to save space or make more messages available on your local device, you can change this. On iOS (pick Sync settings from your email settings), the available range is 1-30 days; on Android (pick Days of emails to sync from your email settings), the range is 1-999 days. If you use Gmail on the web a lot, you might want to think about bookmarking some of the most useful URLs to get around your inbox faster: You can link directly to your drafts, your sent emails, and all of your messages. When you run searches in your inbox and highlight specific labels, you can bookmark those URLs in your browser for easier access as well. If you’re forever bringing back sent emails in Gmail, you can give yourself a longer time to recover your errors... although half a minute is the maximum. In the Settings pane for Gmail on the web, you can set the undo send delay to between 5 and 30 seconds under the General tab, and that change is then applied across the web and the mobile apps. Gmail has a theme option which lets you drastically change the look of the email client in your browser—it’s like using a whole new app (almost). Click the settings cog in the top right-hand corner then choose Themes to pick something new. If you aren’t taken with any of the options Google gives you, click the My photos link to create something yourself.